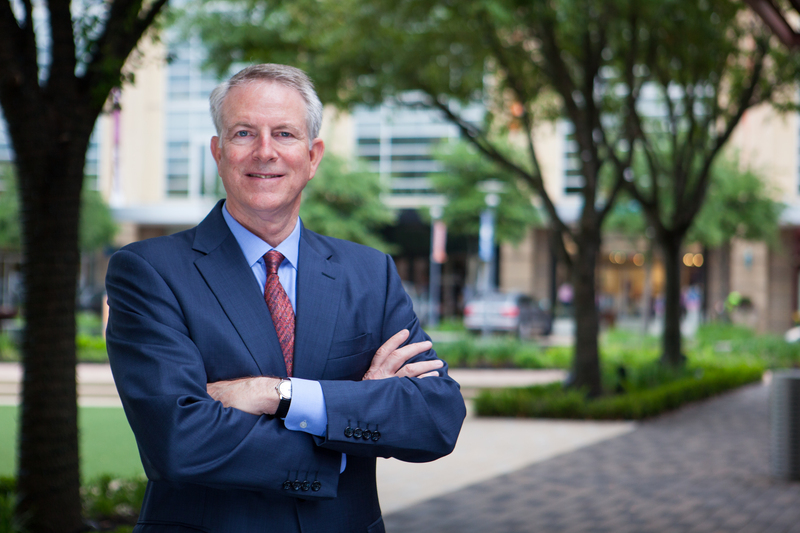 Robert Williamson, Vice President, Investment & Capital Markets at Houston-based Midway. HOUSTON – As the price of oil plunged to the lowest level in years, investor interest in Houston plunged right along with it. By early 2016, oil had fallen below $30 a barrel, down from a high of $107 in the summer of 2014. A few vulture funds ventured forth during the free fall, seeking bargains in the world’s energy capital, but when these funds couldn’t buy buildings for pennies on the dollar like the economic downturn in the 1980s, they left. Now that the price of oil appears to have stabilized, investors are tiptoeing back into Houston. Why? Who is eyeing Space City? Are there bargains for investors to be had here? To find out, Realty News Report talked with Robert Williamson, Vice President, Investment & Capital Markets at Houston-based Midway a privately owned, fully integrated real estate investment and development firm. Realty News Report: Investor activity has picked up in Houston in 2017 following a long season in the doldrums last year. Why is this happening? Robert Williamson: A couple of reasons. First, it’s only the office sector that has been in the doldrums and that was a direct result of the falloff in oil prices. The industrial, retail and single-family residential markets never missed a beat and continue to be very strong. Industrial demand is driven by Houston’s leading position as an import/export market. The retail and single-family residential markets continue to be driven by Houston’s strong population growth, despite last year’s weak employment growth. Even the multifamily market has experienced on-going absorption. There were just too many units delivered at the same time, but that wave is over and the multifamily sector is in the process of self-correcting. Realty News Report: We’ve seen several major properties, such as the 4 million SF Houston Center in downtown, come on the market lately. Why are these owners deciding to sell now? Robert Williamson: I do not know the specific motivation for Houston Center, but Houston has always been an active sales market for office. Unfortunately, when crude prices began their free fall in late 2014, it was a shock to the office leasing market. The incredible growth we had just experienced was driven primarily by energy; few people anticipated the dramatic impact the shale revolution would have on supply and ultimately on the price of crude. Beginning in the fourth quarter of 2015 and through all of 2016, investors and owners alike had a difficult time understanding value as there was little new leasing and few sales to provide supportable comps. Today, we have much better visibility and there are more data points to help pinpoint value. Owners can now execute their respective business plans, which in many cases means a sale. Realty News Report: The worse seems to be over for the energy sector and the economy appears to have stabilized. Is it in your opinion? Robert Williamson: Absolutely. Employment growth is accelerating again and the rig count has bounced back in response to stabilizing prices for crude, albeit at a much lower level. The energy sector is stabilizing via recapitalization and/or mergers, and the industry demonstrated it is nimble enough to be profitable even when prices remain low. Yes, there has been pain, but few firms went into Chapter 11 liquidation and their weakness did not spill over into other sectors of the economy such as banking and commercial real estate as it did in the 1980s. Realty News Report: You left HFF to become Vice President, Investment & Capital Markets at Midway. Why? Robert Williamson: I began my career on the principal side of the business and was fortunate to have worked for two best-in-class institutions – Prudential and TIAA, before switching to the service side of the business. Over my 15-year career at HFF, I had the opportunity to help them build an Investment Sales platform that today is regarded as one of the best in the industry. Likewise, Midway, has been recognized as a best-in-class development company that has been on the forefront of trends that continue to shape our business. With CITYCENTRE, they were one of the first developers to anticipate what the next generation of office workers were looking for – amenities, openness, walkability, etc. Midway continues to embrace change and stay on the leading edge, so when an opportunity arose for me to return to the principal side of the business with Midway, I was excited to join them. Realty News Report: Is your hiring a signal that Midway is going in a new direction – selling properties to outside investors? Robert Williamson: Not necessarily. Midway has always partnered with outside investors and will continue to do so. We have not been an active seller because most of our projects are multi-phased developments, we want to create enduring value, and we believe unified ownership or control is the best way to maximize that value over the long run. Realty News Report: What type of properties are attracting investors in Houston? Robert Williamson: On the office side, investors are looking for value, which can be expressed as a relationship to replacement cost or an opportunity to buy in the best locations at the bottom of the leasing cycle. While Houston has the attributes of a “gateway” city, it does not price like a gateway market. Investors can earn a premium here for an equivalent profile asset, especially if purchased at the bottom of the cycle. As the fifth largest MSA in the country, and with a strong foundation for future growth, Houston is attractive to investors, but they need visibility. With employment growth on the rebound and a recovering office market, Houston may be one of the most attractive markets in the country. Realty News Report: We’ve seen a Canadian pension fund making a big play to buy Greenway Plaza. Are foreign investors going to be active in Houston? Or is this next change going to be led mostly by domestic players? Robert Williamson: Houston is an international city, the most diverse in the nation, and remains as the global headquarters for energy. In addition, the Texas Medical Center is known worldwide and our port system is one of the most active in the world. Combined, Houston actively participates in the global economy and will continue to attract foreign capital for real estate.